Hi all! Finally back with a new card. I'm here with my entry for Lawnscaping Challenge #68. Let's dive in straight to the challenge details. Click on the challenge board below to join! Below is the pin that I've chosen as my inspiration for my card. 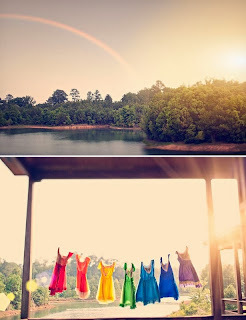 I took the rainbow part of the pin and the fact that the dresses we hanging like banners as my inspiration. Hope you like it! STUNNING! WOW! Amazing take on the photo. 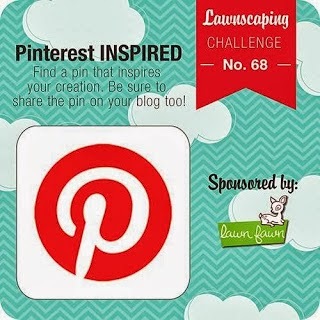 Thanks for playing along with Lawnscaping Challenges!! !